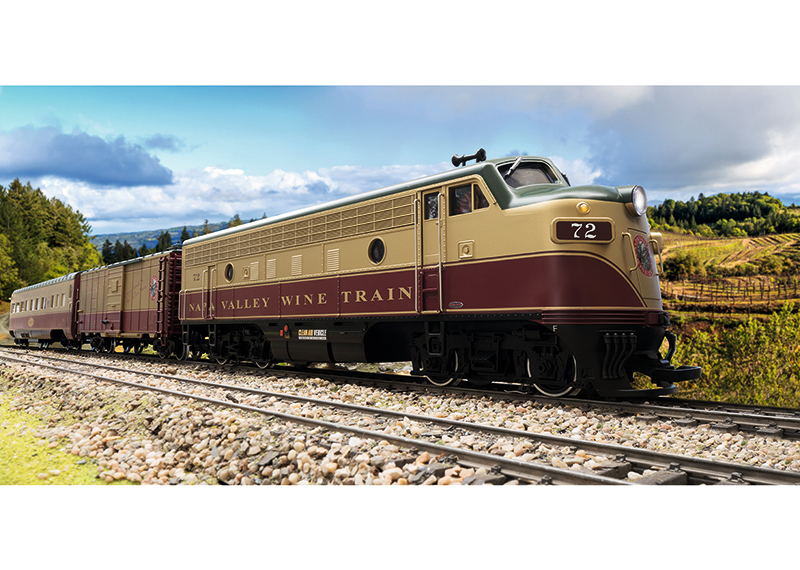 This is a model of an EMD F7 A unit diesel locomotive painted and lettered for the Napa Valley Wine Train as it looks today. It also has a built-in mfx/DCC decoder with a variety of digitally controlled light and sound functions. 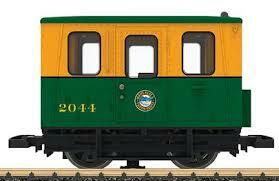 The locomotive has many separately applied details and the doors can be opened. This train features many light functions such as a long-distance light or a Mars light. 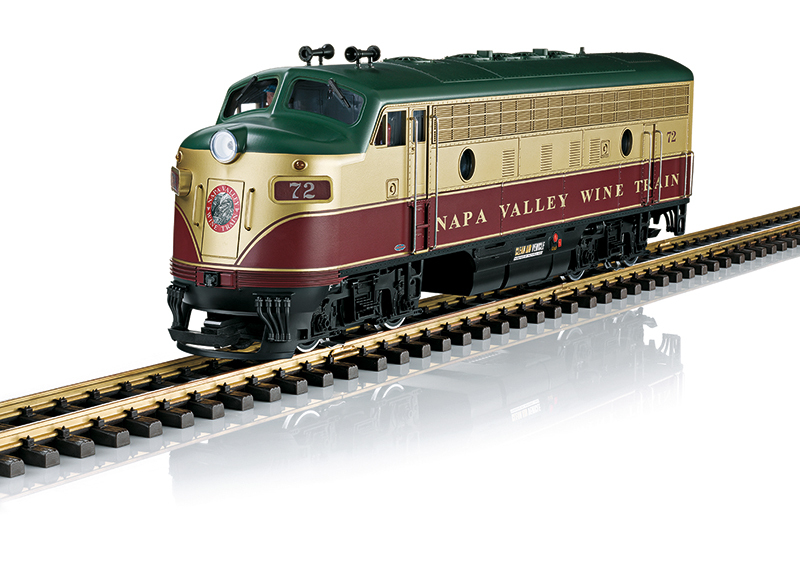 This is a model of an EMD F7 A unit diesel locomotive painted and lettered for the Napa Valley Wine Train. 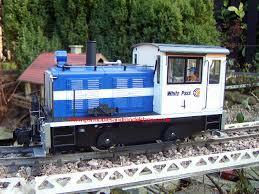 The paint scheme and lettering are correct for Era VI and represent the locomotive as it looks today. Both trucks are driven with powerful ball bearing mounted Bühler motors. The locomotive has traction tires. It also has a built-in mfx/DCC decoder with a variety of digitally controlled light and sound functions. 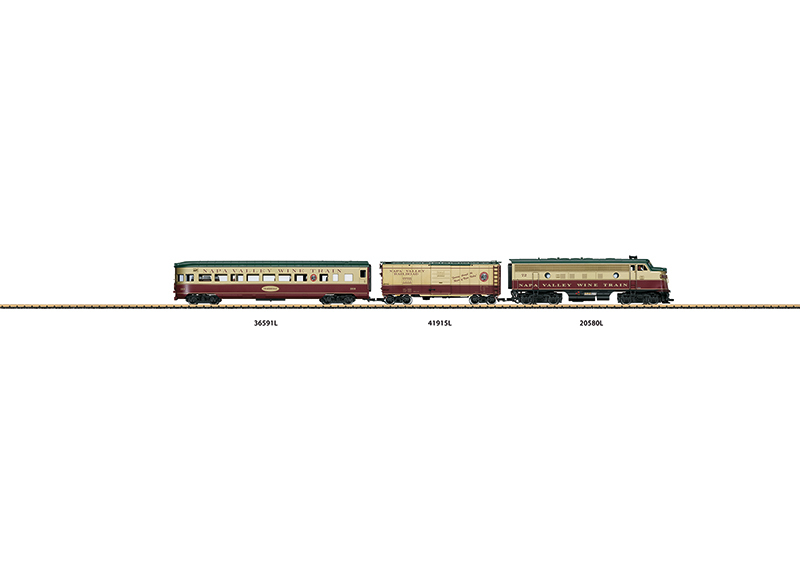 The locomotive has many separately applied details and the doors can be opened. This train features many light functions such as a long-distance light or a Mars light. Length over the couplers 61 cm / 24″.